It was the domino effect rather than the senility, I hope, that resulted in embarrassment for me. As most people know Mini Son and I go to the same school. He studies hard and learns lots. I work hard and also learn lots, however it is he rather than me that is able to leave on time. He had been picked, for the school football team, to take part in a local festival against other year 5 and 6 teams. I was planning; to leave work at midday, rush home, change and grab some lunch, then be back by 1pm to collect him. With 15 minutes to go and parents starting to arrive to collect their children I knew plan A was not going to succeed. One of the other parents offered to take Mini Son and give me precious time to eat and change. As I left the house, I realised I hadn’t had a drink so grabbed a sports bottle and filled it with water. There was no parking anywhere. There could have been, if some of the cars had been parked a little more thoughtfully. As I drove back out of the car park I noticed the tiniest of spaces tucked into the hedge at the end of the line of cars just at the entrance. I manoeuvred backwards and forwards into the space leaving no more than a millimetre between me the car behind. She did have half a parking space in front of her, so getting out was not going to be an issue. I tucked in really close to allow others in and out of the car park. Even I was impressed by my parking; unless you are a very bad driver, you could still drive a double- decker bus through the entrance. I found the school team; arriving at their pitch just as the first whistle blew for kick off. I joined the throng of parents cheering them on and shouting loudly at my lad and his team mates. With the other supporters; head in hands as a kick missed its mark by a hair’s breadth. They say “Pride before a fall”. It was after that first game I learnt both Mini Son and his friend had left their drinks bottles in the boot of his friend’s car. His mum only delivering them, my part of the bargain was to bring both back. Thank goodness I had my precious bottle of water; I didn’t get a look in. After winning three matches we then had a three match break, Mini Son joined me in a search for a water tap, to top up the now empty water bottle. I again ran into parents I knew from Sunday rugby. One was coming to my fundraising pampered chef party that evening. She was there with her husband who I have seen a few times and a few other parents I knew. They too had a break of two matches. Wendy whose meeting had finished early, had dropped in as she passed on her way to another, managing to see her lad play a couple of games. She was now going to drop her husband at the village shop. It seemed such a good idea to get a few snacks and drinks for the boys. I stopped momentarily to look at my car. If I drove the half a mile I would most definitely lose my carefully negotiated parking spot. I began to walk, after all the walk would do me good. I had a three match time window and it really wasn’t that far. I began walking in the now beautifully sunny afternoon, once I had left the pitch I was sheltered from the wind. Wendy and her husband drove past and stopped. Without a second thought I accepted the lift happily and waved her off at the shop with a cheery “see you tonight”. Browsing the shelves of the shop I picked out a couple of bottles, a large pack of mini cheddars, they might share them with me if I was lucky, and a packet of haribos which I was not so keen to share. I began wandering over to the till and reached into my handbag. Only my handbag wasn’t there. Crossed hands checking my body for tell tale signs of a hidden bag. A rush of minor panic as I knew exactly where it was; hidden under the rain mac in the well of the car. So what were my options? I could run back to the car and then to the shop and then back again. Really! I could leave everything and wander back empty handed with the excuse that I had changed my mind. Lost it more like! I wandered still laden down the aisles until I came upon Wendy’s wonderful husband and said “Andrew I wonder if you might help me out”. Bless him, he paid for all the boys snacks and afterwards we casually strolled back to the pitches chatting amiably about life in general. 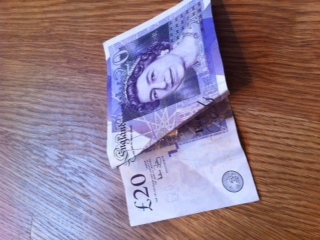 I stopped at the car and retrieved the £20 note for which of course he had no change. “Sort it with Wendy tonight” he said dismissing the money. I did try to sort it with Wendy. She knew nothing of the earlier events but under protest allowed me to buy her a glass of wine which I was more than willing to do so. I am still the proud mum of Captain Mini Son who led his team to victory finishing top of their pool. They were then beaten in such a close semi final, it could easily have gone either way. Even in defeat his voice was loud and clear as he led the cheers for the victors. Had I left work on time, I would have made sure the boys remembered their drinks and probably packed extra. I who like to be early would have parked in a proper space in the car park. I would not have needed to go to the shop at all. Is this how old age will start? Or was I just dipping a testing toe across the border line of senility? I have had some wonderful feedback on my powerful honour killings story but still not sure what to do with it!